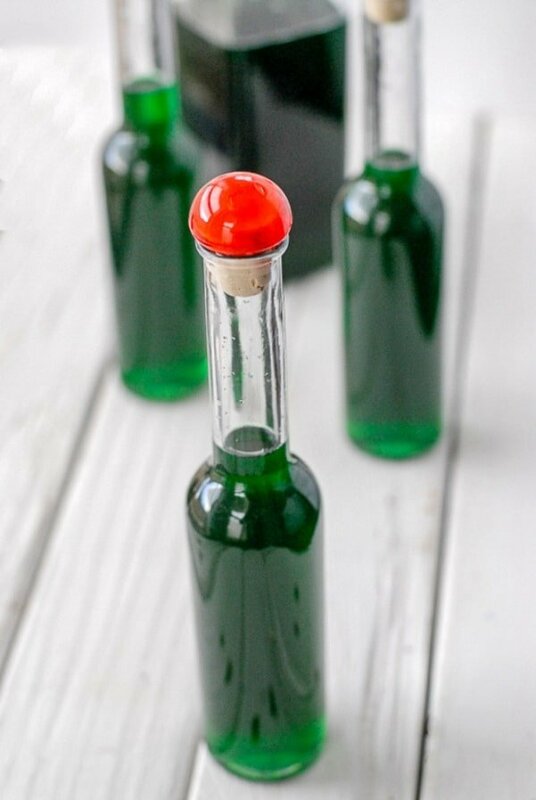 Creme de Menthe the classic minty-green peppermint liqueur is easy to make yourself! 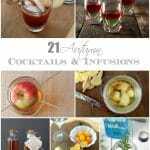 Great for cocktails, recipes and for gifts. 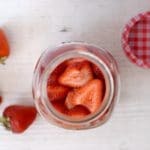 Making homemade liqueurs is delicious and easy. Making classic Crème de Menthe is no exception. 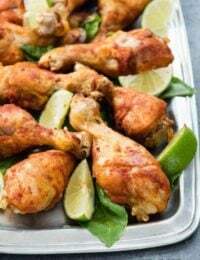 This is a family recipe that my mother and grandmother both made. Like Homemade Coffee Liqueur, it’s easy, affordable, lasts indefinitely and is a great gift idea especially around the winter holidays. What is Crème de Menthe? 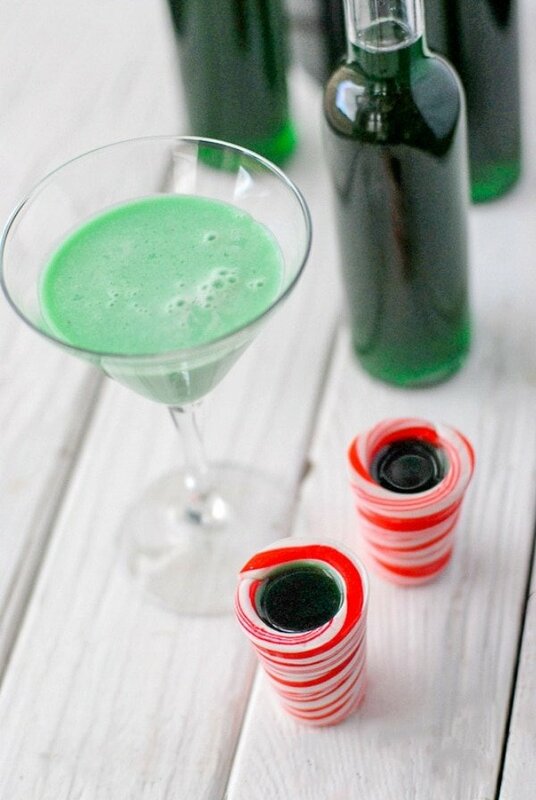 Crème de Menthe (translated from French to mean ‘mint cream’) is a peppermint-flavored liqueur. It is most easily identified thanks to its deep green color. What does Crème de Menthe Taste Like? 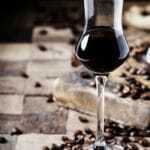 Liqueurs are sweeter than regular liquor. Usually used for sipping or in cocktails. Crème de Menthe has a sweet minty flavor. What Ingredients are in Crème de Menthe? There are only a handful of ingredients in this Crème de Menthe recipe making it a cinch to make. 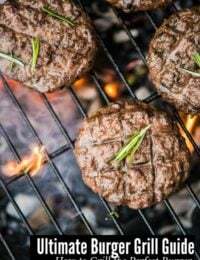 Do I Have to Use Food Coloring? No! 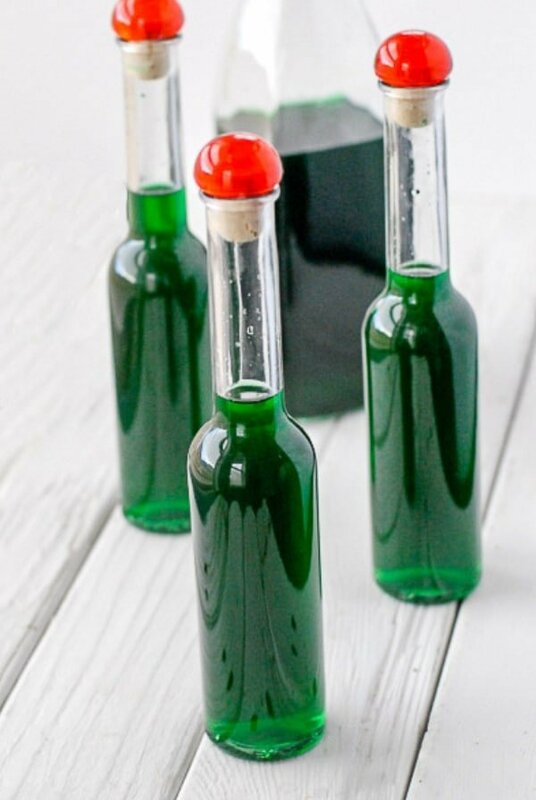 Though the telltale green color is a signature of classic Crème de Menthe, if you don’t like using food coloring you can omit it and leave the liqueur clear. 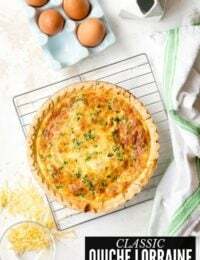 Is Crème de Menthe Gluten-Free? YES! 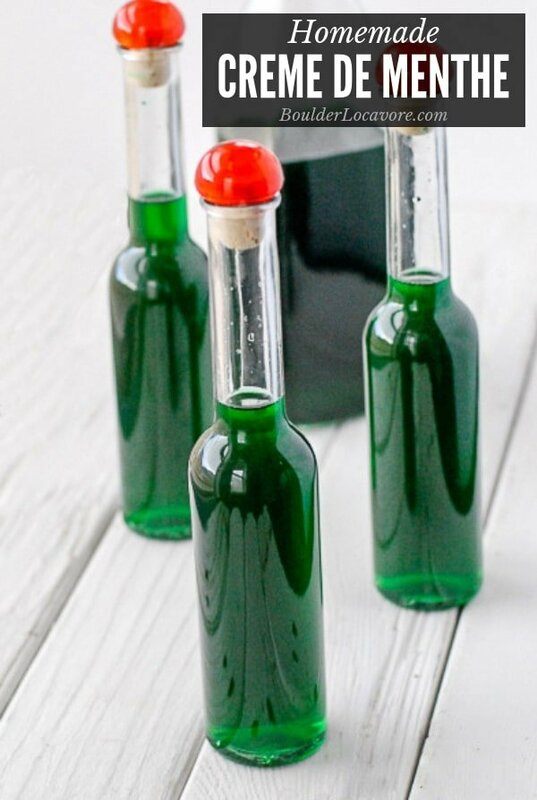 This homemade Crème de Menthe recipe is naturally gluten free. Store Crème de Menthe in a sealed glass container in a cool, dark place. How Long Does Crème de Menthe Last? If stored as described above, it lasts indefinitely! Combine the sugar and water. Heat until the sugar dissolved (happens quickly; no need to boil it), stirring frequently to speed the process. Allow to cool. 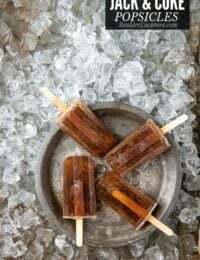 Once cool add the grain alcohol, peppermint extract and green coloring. Store in a cool, dark location and it will last indefinitely. 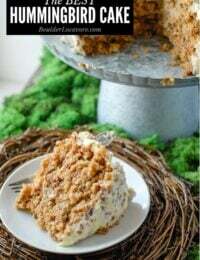 Grasshopper Pie: to say this is an all-time favorite recipe in my family would be an understatement! 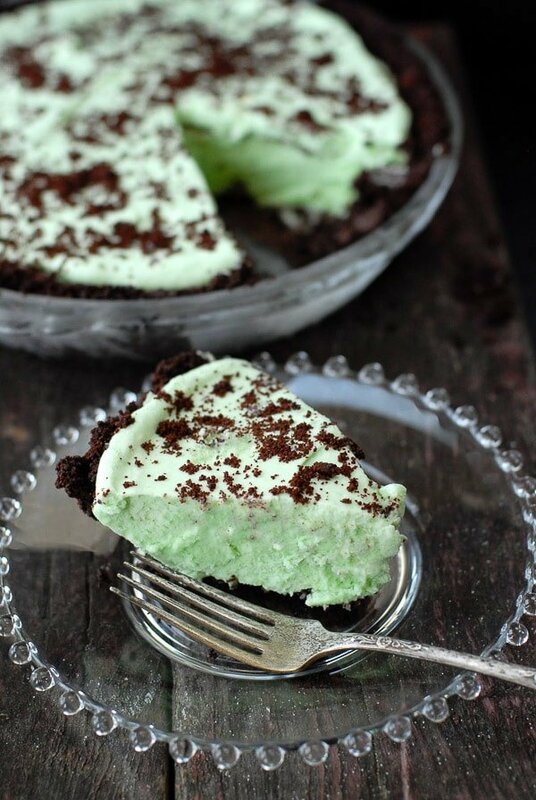 Grasshopper pie is a frozen pie with a billowy, minty filling made of marshmallow, cream and Crème de Menthe in a chocolate cookie crust. 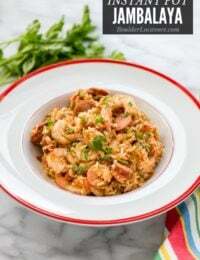 It has found its way to our Thanksgiving menu annually as well as other times throughout the year. Grasshopper Pie Milkshake: having the same flavors as Grasshopper Pie, this minty-chocolate shake is a favorite. Crème de Methe Marshmallows: these easy light green marshmallows are perfect in a cup of hot cocoa or as gifts. Drizzle over Vanilla Ice Cream: this simple use is always delicious! Combine all ingredients in a cocktail shaker with crushed ice. Shake and pour into a martini glass. TIP: for the bright green color, use clear or light Crème de Cacao. The darker version will still be delicious but the color of the drink is more like drab spinach….not so appetizing. Creme de Menthe and Cream: I actually combined 2 parts Crème de Menthe and 1-part cream as a cocktail which was great. I did not finish it so poured that into some coffee which was also fabulous. 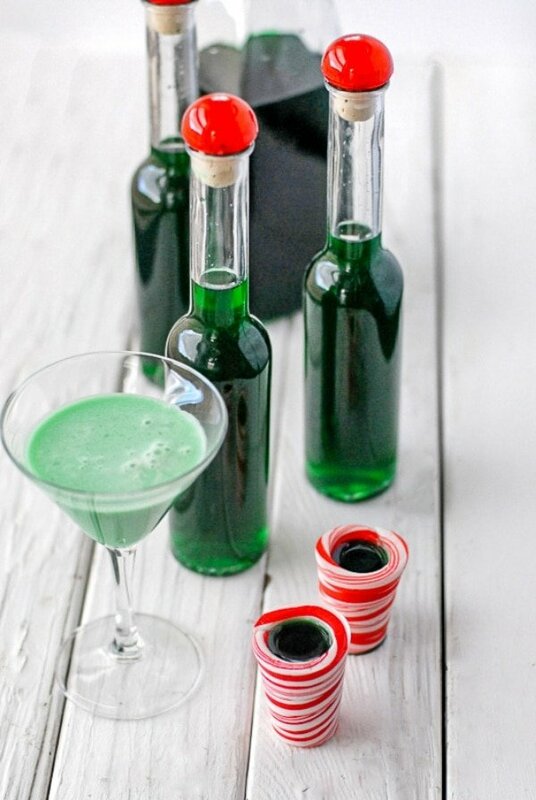 If you’ve made this Creme de Menthe recipe please RATE THE RECIPE below! 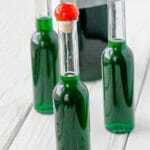 Homemade Creme de Menthe is very easy to make and lasts indefinitely when stored in a cool dark place. Great for cocktails and in recipes like Grasshopper Pie. Combine the sugar and water. Heat until the sugar dissolved (happens quickly; no need to boil it), stirring frequently to hasten the process. Allow to cool. I never thought about making my own, but I love it! Works perfectly in my holiday recipes too. This is so useful! I love making these sorts of things from scratch! Beautiful colors, beautiful pictures! I feel I will go straight to the grasshopper pie. Thank you! Very timely for Christmas. It’s insane the versatility of this homemade confection. Thanks! This would make such a fun holiday or hostess gift!! So easy!! 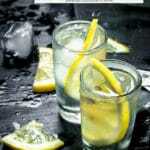 what a festive drink -I never would have thought about making it from scratch – so smart! I can’t tell you how much I love this. It’s fun to have on hand for the holidays, but it also makes a nice gift!